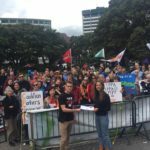 The continuing threat to the huge savings in medicine costs achieved by Pharmac continues to make a mockery of the TPPA noose which the government appears determined to put Kiwis’ heads into, according to Democrats Health spokesman David Tranter. Government’s obsessive bending of the knee to international interests, particularly the U.S., which seek to take away New Zealand’s right to make its own decisions for the good of its people defies all logic – and the many well-reasoned arguments against the TPPA proposals. 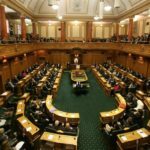 As a few examples, with regard to the effects of the TPPA, NZNO chief executive Geoff Annals states, “Pharmac is under attack by the pharmaceutical industry because it is successful and the ‘Pharmac model’ is being adopted by other countries needing a better balance between business and health interests…… Pharmac purchases medicines for New Zealanders at prices around half those achieved by Australia’s medicines purchasing agency and around a third the price demanded in the US”. Professor Jane Kelsey of Auckland University states; “the U.S. Government (on behalf of its pharmaceutical industry) has attempted to impose controls over the operations of drug subsidy schemes of other countries through free trade agreements – firstly through the Australia-US Free Trade Agreement and later through its agreement with South Korea. The TPPA represents the latest – and most aggressive – attempt. And the US seems to be particularly targeting Pharmac this time”. Professor Kelsey also describes how New Zealand’s Parliamentary Health Select Committee, “has refused to hear from academics about the public health risks, or to allow health practitioners to hear public submissions”. Pharmac themselves say that they have saved DHBs over $5 billion over the past 12 years. So why, Mr. Tranter asks, is this government betraying New Zealanders by participating in secret discussions, refusing to hear well-informed critics of the TPPA proposals, and keeping the public in the dark while the U.S. continues to push for restrictions damaging to the New Zealand people while benefiting only the profit-dominated agendas of the pharmaceutical giants? 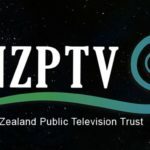 Once again the public may well ask – whose side are our government on – the New Zealand public or the multi-national corporations and their political cronies?